Last week I attended the Dayton Hamvention®, the largest annual gathering of Amateur Radio operators in the world. Amateur, or “ham”, radio and Scouting grew up almost in parallel at roughly the same time. 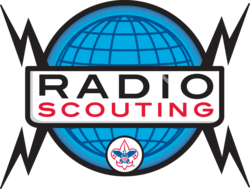 Scouting just observed its hundredth anniversary a few years ago, while radio as a hobby started gaining in popularity in the early nineteen-teens. The American Radio Relay League, the national association for ham radio in the US, was founded in 1914. Almost from the very beginning, Scouting and radio have gone hand in hand. The early experimenters in the art and science of radio were largely young men, many of whom were of Scouting age and keenly interested in the new technology. The Radio merit badge (originally called Wireless) has been with us almost since Scouting began. Scouting was there at Dayton too. The members of Venturing Crew 73 (the number ’73’ is ham radio shorthand for ‘best regards’) were raising money for their radio-oriented crew activities by laminating admission credentials and selling lanyards. At the ARRL booth, I met Nathaniel Frissell, an Eagle Scout who is active in the amateur radio station at his council’s camp as well as with the BSA’s own K2BSA station at the National Jamboree. I also met some of the Scouts and Scouters who run the amateur radio station at New York City’s Scout camp, the Pouch Scout Reservation on Staten Island. I’ll be helping to set up and operate one of those Icom stations this summer at the centennial National Order of the Arrow Conference at Michigan State University. We’ll be activating K2BSA, talking with hams around the world, making new friends and meeting old ones on the air. Stop by if you’re attending NOAC and say hi. Twice a year, the ARRL sponsors Kids’ Day, when ham radio operators open their stations and allow kids to get on the air to talk to other young people. The next opportunity falls on the third weekend in June. Also in June is the annual ARRL Field Day, a radio club operating event where hams take to the field to operate portable stations emergency-style and try to make as many contacts as possible in a 24-hour period. Clubs all over the country welcome young people to come out and discover what amateur radio is all about, and some even offer radio merit badge instruction. You can find a local club Field Day operation and go visit with your Scouts. The world’s largest Scouting gathering is Jamboree On The Air, which happens the third weekend of October. Hams get together with Scouts, allowing them to communicate with each other across the country or the globe. 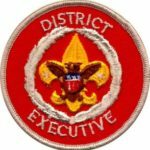 The Radio merit badge can serve as an excellent springboard to getting into this fascinating hobby, and passing the entry-level license exam is not difficult. Young people and their understanding of today’s technology are the future of ham radio and it will be exciting to see where the new generation takes it. If you are interested in amateur radio, one of the best ways to find out more is to attend a meeting of a local radio club. The ARRL website has a club finder to help you locate a club near you. Many clubs offer license instruction and some can administer the license tests as well.